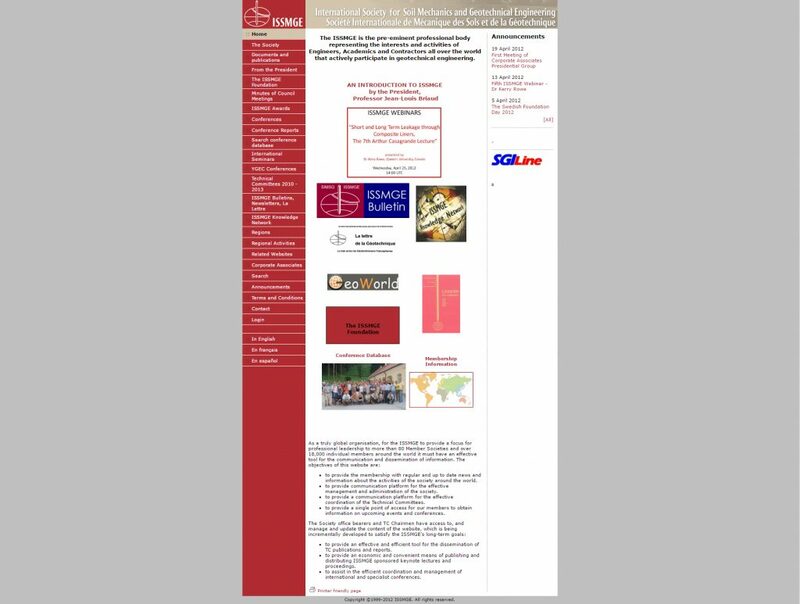 The International Society for Soil Mechanics and Geotechnical Engineering (ISSMGE) is the premier professional international organization in geotechnical engineering. The new ISSMGE.org was developed as part of a long-term partnership between the ISSMGE organization and Geoengineer.org/Argo-E. The new website is a major development that thrusts ISSMGE deeper into the digital era. 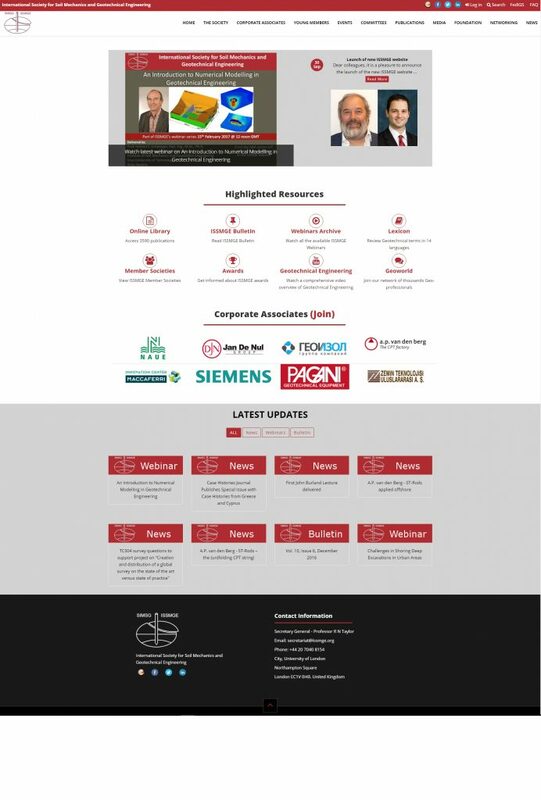 ARGO-E is proud to have been part of this effort as the IT group behind the redesign of the ISSMGE website, its intranet and its social media. Both the front-end and intranet of the ISSMGE website are completely custom made and custom-tailored to ISSMGE’s needs.